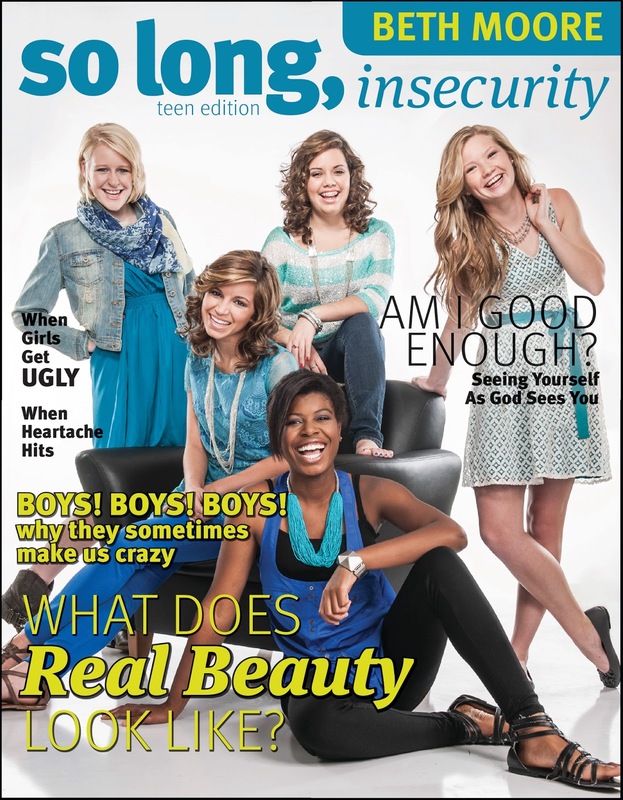 So Long, Insecurity – Teen Edition. As a teacher, one thing that breaks my heart is seeing every single teenage girl I’ve ever worked with struggle deeply with insecurity. For some, it’s their physical attributes that make them insecure. For others, it’s a lack of popularity, or crap going on at home, or too little money to buy all the trendiest stuff, or peers that are mean for no reason, or any number of other things. For me, it was physical. It was my weight. As a preteen, teen, college student, and beyond… there was always a thought that if I could just lose a certain number of pounds, people would like me better. Boys would ask me out, girls would invite me to hang out with them, and the entire world would fall at my feet. Of course, it was never really all that bad – I just couldn’t see through to the other side when everything would be ok. I couldn’t see my adult self, still overweight but happy and well-loved, while I was in the midst of feeling like a repulsive, far from lovable teenager. My focus was on what was wrong with me and how I didn’t fit in, not on what was good about me and what I had to offer the world. Something like this book would have helped me A LOT. It’s real. It’s honest. It covers a whole multitude of issues – how to dress to cover problem areas, how to deal with boys, how to manage feelings of depression and jealousy – and it’s all handled in a positive, uplifting, Bible-based way. And while the fact that it’s Bible based may seem to some like a reason to slap a “for Christian girls only” sticker on this, I wholeheartedly disagree. In fact, I have a student in mind that struggles deeply with feeling like she doesn’t fit in. She feels like nobody likes her, she’s not cool or popular, boys will never like her, and she’s just miserable. Of course, there are a number of students (current and former) who could identify with that description and might possibly wonder if I’m talking about them. This particular girl is not a Christian, but I think she would absolutely eat up the advice and encouragement found in this book. And, at the same time, I immediately e-mailed a friend after finishing my preview copy and told her about it for her church small group of high school girls. I think this is versatile and completely relevant for all girls, from those who don’t already identify themselves as Christian to those who are secure in their faith and involved in church. The format of this teen edition is perfect, too. It’s full of pictures of real (not perfect) teenagers wearing fashionable (not all designer) clothes and honest testimonies from girls who’ve been there. There are quizzes for each topic, pages full of encouraging verses, and so much more. It’s not an overwhelming, boring nonfiction kind of book that would make girls reject it – it’s more like a pretty, glossy magazine full of greatness. The description I saw somewhere for this book said it’s for girls ages 12-16. I disagree. I’d like to see this in the hands of 4th and 5th grade girls who look up to older girls and can’t wait to be teenagers. I’d also like to see this in the hands of high school juniors and seniors, and packed into the bags of college students heading out on their own for the first time. There’s a great basis here for being comfortable with who you are, who you were created to be, and how to maintain your focus on your purpose and your Creator. I think that’s so important for girls ranging from upper elementary to college. So buy a copy for yourself if you’re a young woman. If you’re a parent, buy one for your daughters and nieces and every young woman you know. Please, as a teacher in the trenches who sees this stuff in action, invest in this and use it as a springboard for discussion in your house. Encourage the young women you love and fill them with confidence! In The Silent Swan, Lex Keating follows Gabriel, the protagonist of this story, through his school and home life where he reigns supreme in all things. He gets the girl, he’s captain of the baseball team, he coaches a junior baseball team, he’s king of his brothers… until a new rule imposed by his parents throws him into the path of one girl, Tam Swann, who changes him forever. I don’t think I was quite prepared for what an emotional journey The Silent Swan turned out to be. And it was a good emotional journey. It wasn’t one of those depressing stories with no hope. It was one of those stories with some depressing parts that ends up full of hope. The Silent Swan is very long (I read the electronic version from NetGalley, but the Amazon listing puts it over 500 physical pages). If I could change one thing about it, I’d make Gabe a first person narrator rather than telling the whole story in third person. I was able to connect with all of the characters in third person, but I really would have liked that first person connection with Gabe. Or even alternating first person points of view between Gabe and Tam. Regardless of my POV preferences, The Silent Swan is a heart-warming story that will stick with its readers. One huge plus to this good YA novel is also that it’s pretty much completely clean, and the length and vocabulary should make the lexile level pretty high up there. I’d be totally comfortable having this in my middle school ELA classroom as a challenge novel to advanced readers. The Silent Swan releases on September 10th. Click here to find it on Amazon! Several weeks ago, I wrote about the New Adult genre – what it is, what I love about it, what I wish was different about it – and introduced you all to Cassie Mae, author of Friday Night Alibi. Well, I enjoyed Friday Night Alibi so much that I looked up Cassie Mae’s other titles and was intrigued by this story. Now I’ll say that I usually shy away from stories featuring protagonists that stress about their weight and obsess over it and try to go on diets and are generally annoying and cause me stress as the reader. This isn’t like that. At all. In this, Hayley (dubbed the funny fat friend because she sets her friends up on dates but doesn’t go on any for herself) holds tight to a crush on her sign language partner, Brody. She knows, though, that Brody has a huge crush on his brother’s ex… so she offers to help him get a date with her even though it will amount to torture for Hayley. What I really like about this book is that we get to hear Brody’s point of view, which is a breath of fresh air. I don’t want to say too much more for fear of ruining any surprises, because really I liked this that much. It wasn’t your stereotypical kind of overweight girl story, and it had a true and really satisfying depth to it. I really, really, really recommend this for high school girls and especially any young (or not so young) woman who struggles with confidence in their physical appearance, even if it’s not weight. There was just something really special about watching Hayley come through the story better in the end than she was when it began. It’s available on Amazon here, both in kindle and print editions. First, pay no attention to the fact that this book is published through Harlequin Enterprises Australia. I don’t know how this caught their attention… it’s not a genre romance novel, and it take place in Texas. Not Australia. Anyway, this story centers around two very different characters and is told in alternating points of view (which I adore more than anything in a book). Mirriam is an Iraqi refugee. She’s been in the US for two years, moving around with her family in an attempt to stay hidden and safe in the wake of her father’s death after being mistaken as a terrorist by US troops. With the situation so shaky in Iraq, they make arrangements through family connections and make it to the US. Where this story starts, Mirriam has just moved to a small Texas town know primarily for its military base. Of course, given her history and dislike of US military troops, life is bound to be rocky… especially when she gets hit on by a typical all-American army brat on her first day at the high school. Caleb is a high school senior with two college football scholarships to choose from… unless he decides to enlist in honor of his dad who was killed in combat in Iraq. He’s popular and not short on options for dates, until he hits on the new girl and is very publicly shot down. As Mirriam and Caleb spend more time together, they begin to realize that they have far more in common than they could ever have imagined. Of course there are sparks and romance and those things you find in all great stories, but this is a heartwarming story, really, more about two teenagers healing together than about a sub-par genre romance storyline. Needless to say, I really liked this. A lot. 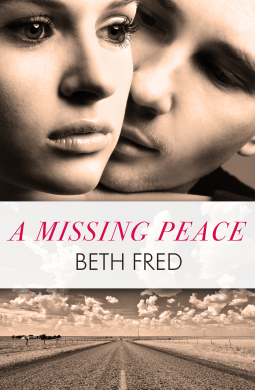 A Missing Peace will be available online as an ebook starting on September 1st. AND… it’s a 99 cent preorder right now on Amazon. Go buy it! A few months ago, I read and reviewed This Is What Happy Looks Like by Jennifer E. Smith. I really loved it a lot. So of course, if you’re a total book nerd like me, finding one book you love by an author that’s new to you prompts you to look into the rest of that author’s books. When I looked into Smith’s books, I discovered this one… which I’d heard about but not read, and had to pick it up. This story is one of Hadley, who misses her flight from New York to London for her father’s wedding by mere minutes. Consumed with angst over the fact that her father is marrying a woman she’s never met, and the fact that she even has to go to the wedding, Hadley finds a welcome distraction in Oliver, a cute British boy who turns out to be on her flight, sitting in her row. I loved the whole story. 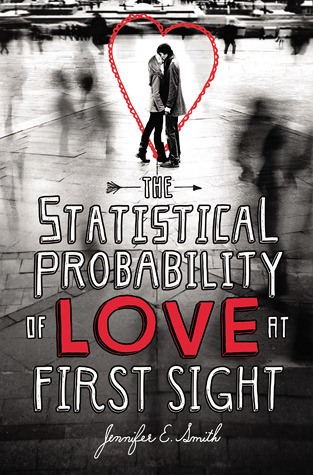 Finding out more about Hadley and Oliver both as they talk and fall in love on an airplane (which is about the most unromantic place ever, honestly… props to Smith and her imagination for being about to make an airplane come alive as a viable setting for love). And then, seeing what happens when they finally get to London and they’re removed from the “romance” of the airplane was sweet. I won’t say more because, really, you should just read it. But I will say that I found myself rooting for Hadley and Oliver. I liked them. A lot. Smith has a great ability to create a romance you want to see last beyond the pages of the book. This title is reportedly in the works for a movie, though I haven’t heard any recent details. There’s an article here if you’re interested; I think it would make a really fun, quirky romantic movie that even my husband could stand to see in the theater. Click here to see it on Amazon. Enjoy it! This review was originally published on July 12, 2013 at SheReads.org, where I’m the YA Reviewer. This book was not what I expected. I knew it would be dark. I knew the content would be difficult to read. I knew these things. I wasn’t prepared, though, for what it was. So why would I recommend it here, on She Reads? Because it is incredibly well written and fascinating. It’s a bit like a train wreck, where you can see that things just are not good and you feel like you shouldn’t even be there, observing, and yet you can’t quite turn away from it. Criminal is the story of Nikki, a troubled teenage girl who is hopelessly in love with Dee, a guy who oozes bad news. Nikki doesn’t have any real family to step in and show her that he’s scum and she deserves better, and she is so caught up in Dee that even warnings from Bird, her friend and the closest thing she has to caring family, fall on deaf ears. The story is interesting as we pick it up right after something awful has happened – a crime which Nikki was unknowingly drug into by Dee – and we see bits and pieces unfold as we learn the truth of the whole story right along with Nikki. There were times when I literally wanted to reach into the book and shake some sense into her. There were times when I didn’t even want to keep going, but I couldn’t stop, either… the train wreck phenomenon. If you’ve ever wondered how a person can get so wrapped up in a horrible romantic relationship, or how a teenage girl can be so wrapped up in herself that she doesn’t even realize what she does to other people she cares about, this book will give you something to think about. In fact, it’s something for all of us to think about. You don’t have to be an accidental accomplice to a murder in order to see how Nikki’s cycle in the book plays out in our lives – something happens, we hit rock bottom, we realize a need for change, and we set about making things right. 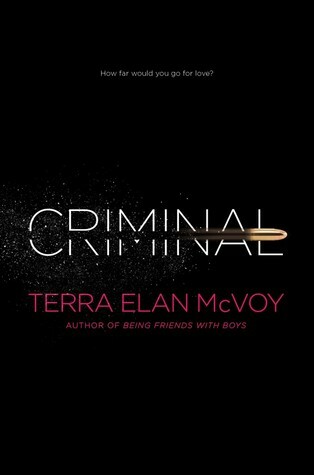 By the end of the book, I was hopeful for Nikki, which is why I can recommend Criminal. If it weren’t for the hope that McVoy weaves into her ending, the book would be completely disturbing and depressing. As it is, though, it’s an interesting journey through crime, the criminal justice system, and one character’s sincere effort to grow up and have a positive future. For those of us that enjoy reality TV competitions like Master Chef and The Next Food Network Star, Kelly Fiore’s Taste Test has everything we could ever want. Nora Henderson is a high school senior about to spend her final semester of high school as a contestant on a reality cooking competition. She’s grown up helping her dad in the kitchen of their North Carolina mountain BBQ restaurant, so she has plenty of skill in the kitchen… but can she handle the stress of school, the drama of the competition, and the possibility of a new romance (or two)? It’s really fun to experience everything along with Nora – I enjoyed this the whole way through. There’s more to this than just your standard romance (as the cover would suggest). I like the way Fiore throws in elements of family drama, romantic comedy, coming of age, and even a pretty solid mystery that keeps you guessing until the end. Don’t worry, though, there’s quite a bit of the swoony romance all of us girls love. Taste Test will be available in stores on August 27, but you can go ahead and preorder it now – Click here to find it on Amazon. Also, spend some time on Fiore’s website, which is completely adorable and creative, and she’s also doing giveaways leading up to the release of Taste Test.